Kalia Yojana Odisha List 2019 For Farmers District Wise check now. 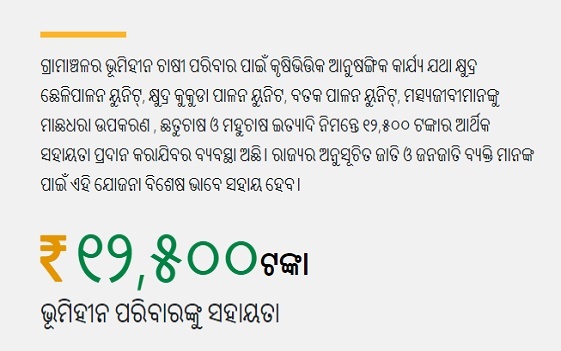 Government of odisha released the Kalia Yojana Odisha Beneficiary List 2019 at kalia.co.in official website. People from respective state looking for list verify now by submitting the required details. More information about Krushak Assistance For Livelihood And Income Augmentation check below. People have any quires about Kalia Yojana Odisha they are all contact to the help desk which is maintained by state government. Here it is the help line number 1800-572-1122. After 5th Jan 2019 on words people may know check out details of Yojana ask your quires 7 AM to 9 PM only. People from Odisha to receive a information on your mobile about Kalia Yojana give a missed call to the 080-6117-4222.